Of all models manufactured by the West Bromwich company, Jensen Motors, it is the iconic four-wheel-drive Jensen FF which is the most sought after by classic car collectors the world over. With production of the 320 Jensen FF cars taking place between 1966 and 1971, even the youngest Jensen FF is now over forty years old. During that forty year span, inevitably some Jensen FF cars have undergone such vagaries as identity change, and cars that have largely been made up from parts of various other cars. 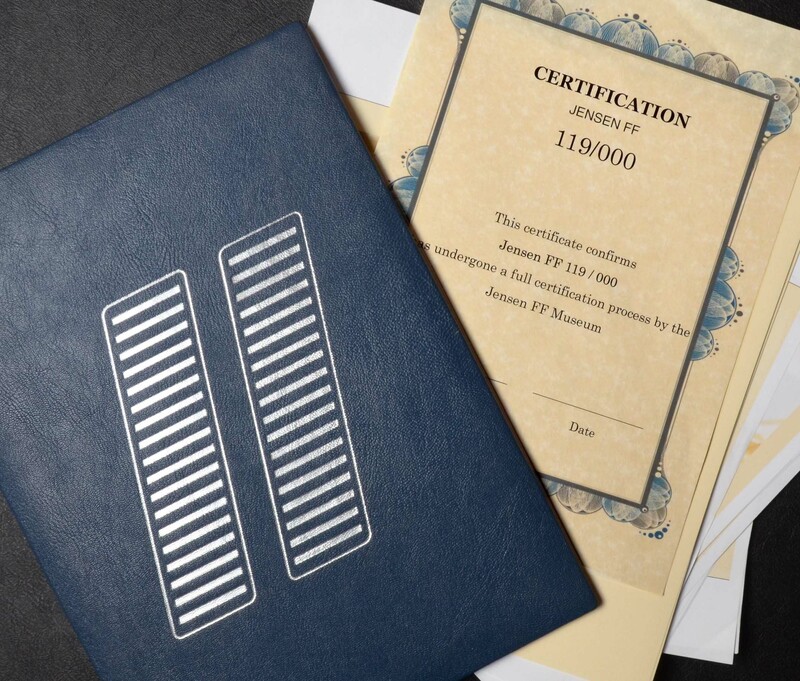 With hardening prices for the best examples, and classic car collectors who require original cars for their collections, it is now relevant for the Museum to offer certification. We can provide basic certification, which will confirm the car’s authenticity. This can generally be achieved by a site visit. In depth certification will require the car being transported to us. The car will undergo a full examination by the Museum. Our report will reveal if the chassis, engine, transmission / four-wheel-drive unit, brake system (including the Maxaret Anti-Lock Braking), suspension, wheels, bodywork, and interior, are original, or at least comply with the original specification. In addition the completed report will include all information the Museum holds on that particular chassis number. We can also offer certification for other Jensen models. Contact us at archive@jensenmuseum.org or on+1694-781354.